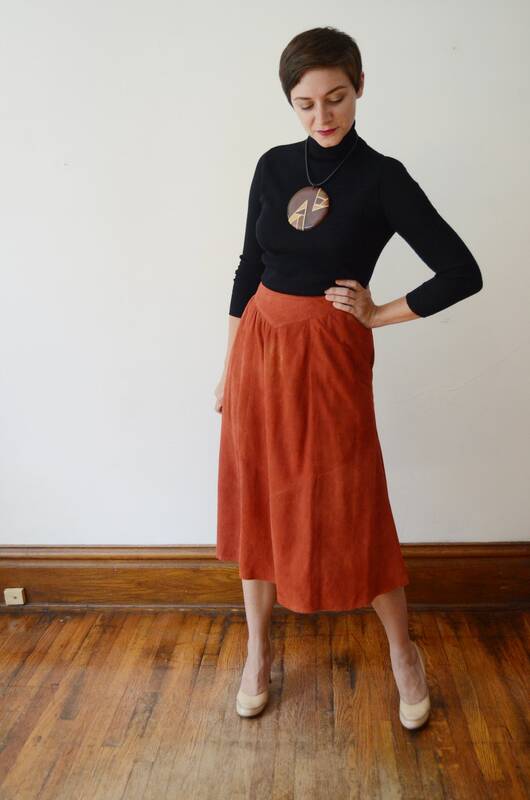 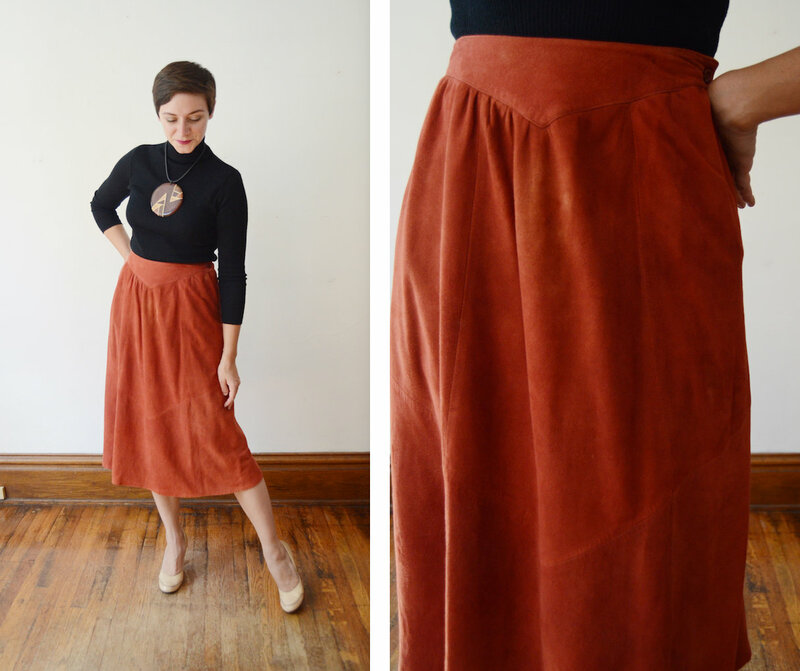 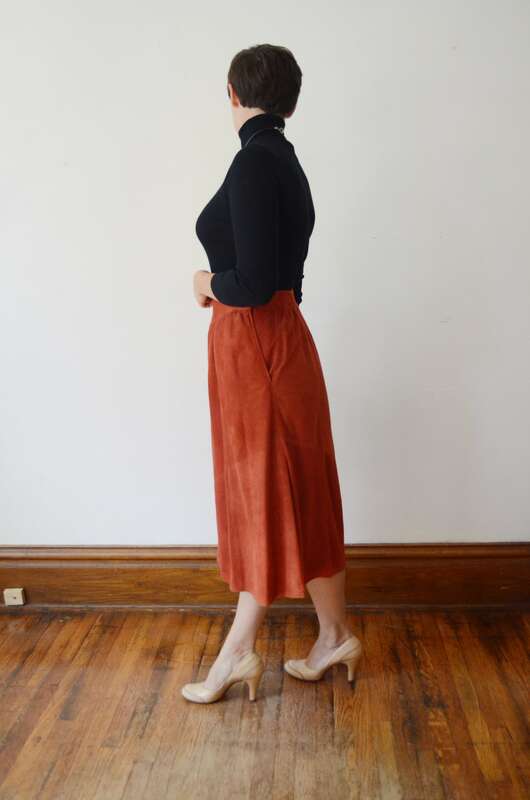 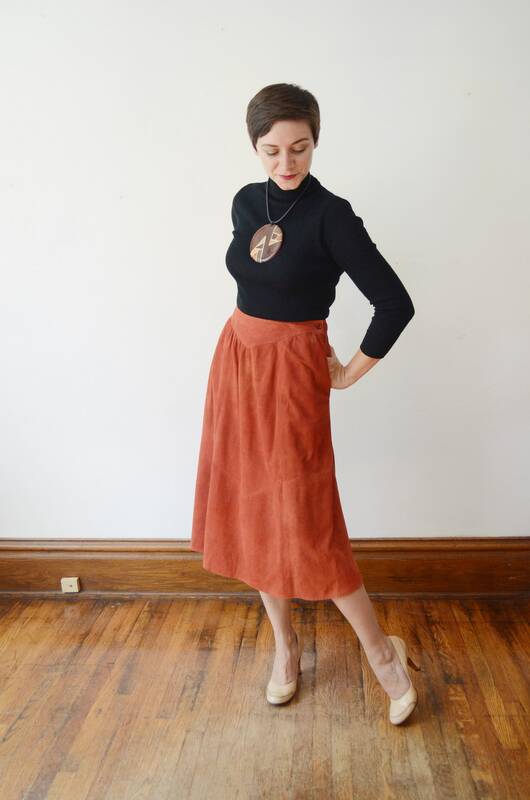 Description: A rust suede skirt that is lined, and buttons on the side. 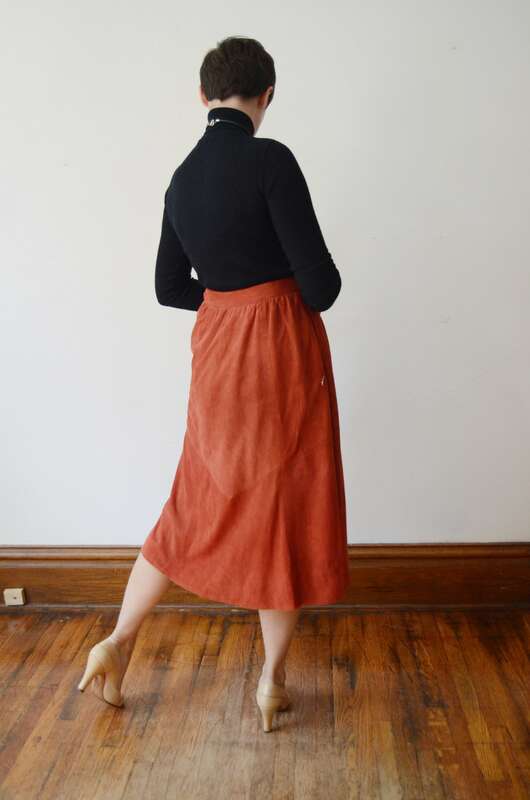 Skirt has two side pockets. 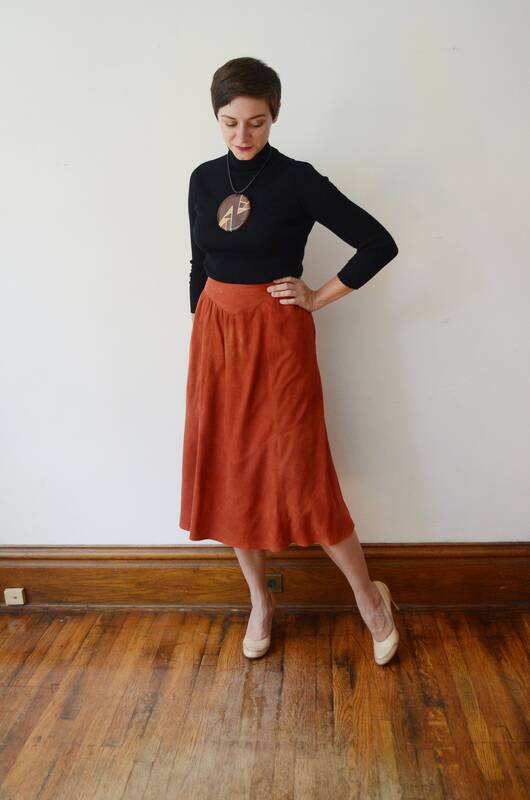 Waist: 27” but you could move the buttons to make it an inch bigger or smaller. 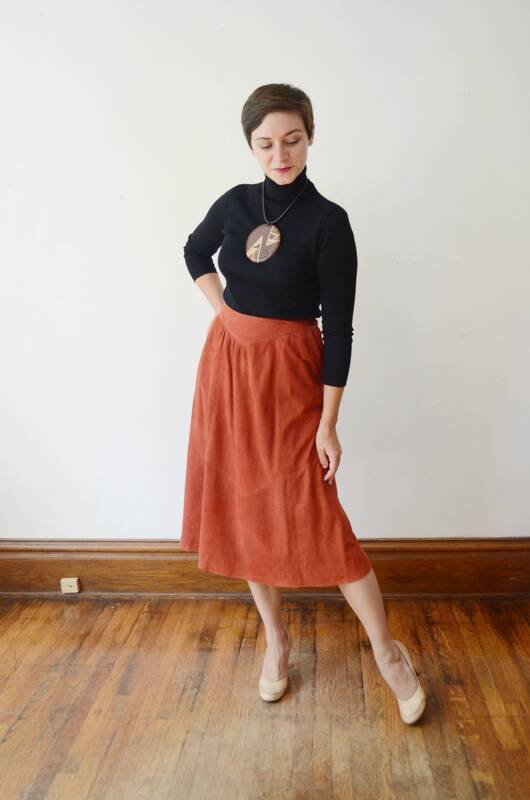 Condition: The color varies slightly in areas, and there are small marks and dings, but overall its a fabulous and well made garment!